This looks interesting. I've always liked Panasonic's offerings and this size, spec and form factor seem pretty good to me. "The VariCam LT delivers superb image handling in multiple formats ranging from 4K, UHD, 2K and HD, and like the VariCam 35, is fully capable of High Dynamic Range (HDR) field capture. The new 4K camcorder offers Apple ProRes 4444 (up to 30p) and ProRes 422 HQ (up to 60p) support for HD recording, as well as Panasonic’s AVC-ULTRA family of advanced video codecs." 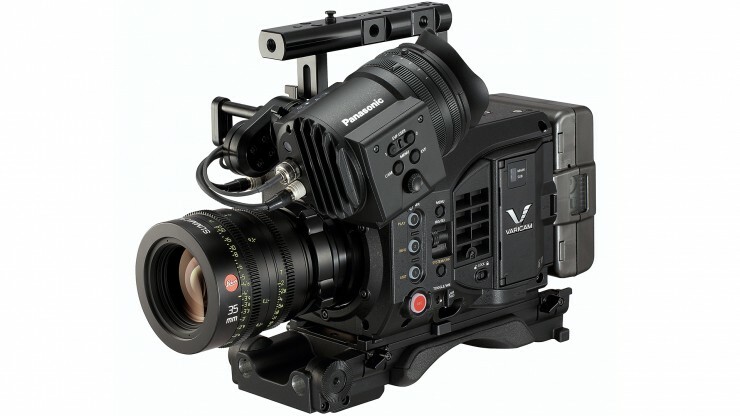 The VariCam LT will be available at the end of March in two packages, suggested list price $18,000 (body only) and suggested list price $24,000 (body + AU-VCVF10G viewfinder). For some reason people are comparing this to the Sony FS7 price-wise! That's crazy... this is in another league altogether. The FS7 is great for what it is, but it's not got the features, codecs or build quality of this. Expect to see the VariCam LT on lots of TV drama and features as either a B-Cam to the VariCam for use on Jibs and Gimbals or as the A-Cam for DoPs who like the small form factor and price.